Spelman graduate and single mother Yasmine McMorrin made her writing debut on the Beyond Baby Mamas nearly two years ago in August 2013. Her first post, “The Sometimey Guilt of Single Motherhood,” about her experiences as a young mom and law student with an estranged co-parent remains one of the site’s most-read posts. She followed up with an inspiring post seven months later, “Journey to Better,” encouraging other single mothers to be open to positive change, as she challenged herself to do the same. Today, Yasmine becomes our very first mom to be profiled in our new series, BBM Revisits. We’ll be checking in with many of the BBM Community Members who wrote for us during the blog’s first two years, to update you on their families’ progress, their personal growth in love and life, and to provide you an opportunity to encourage them as they continue to move forward. 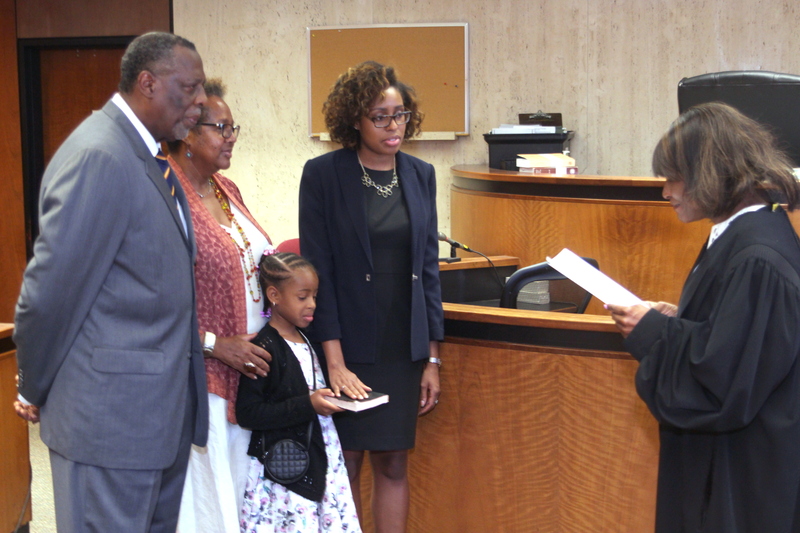 Beyond Baby Mamas is proud to re-introduce Yasmine McMorrin, now a co-parenting, newly sworn-in lawyer. Please join us in congratulating Yasmine on her latest accomplishments in the comments section below! I’ve been a mom since I was 19 years old and a sophomore/ entering my junior year of college. Thinking of someone before I think of myself is such a natural thing, I don’t even think twice about it. My daughter is such apart of who I am and my story. But because I was so young, motherhood made me feel less than. I felt like I needed to shrink and explain away my young motherhood because I was unmarried and still a teen. I shied away from my truth. Now that I’m 26 (almost 27), I celebrate my me-ness and all my truths. I now communicate with my daughter’s father’s wife to share photos and coordinate potential visits. 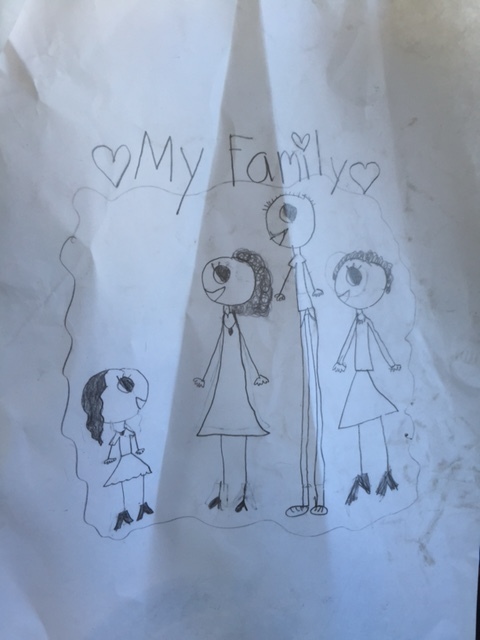 Their contact with her is sporadic but she is aware that she has a dad, stepmother, and brother, and she loves them all. I actively co-parent with my amazing parents and my daughter is a spoiled grandchild. My family and friends are extremely supportive of my daughter and I as we journey on to accomplish our respective goals. (Yes, I’m one of those mother’s that makes vision boards with my daughter, lol). I balance my career as an attorney and single mom with lots of collaborative effort. My parents help me a lot with drop-off and pick ups. They show up at school events when I can’t make it. I’m so glad I have them as my proxy, because let’s face it: we can’t be everywhere all the time. I believe my daughter is proud of me. She held the bible for me as I was sworn in as an attorney, which was a very exciting day for us. The coolest part of being a young mom is that she has a front row seat to me as I grow. She’s seen me graduate from Spelman, then Rutgers Law. She watched me study for both NY and NJ bars and subsequently pass. By watching me, I hope she sees that nothing comes to you without hard work but that with hard work and determination you can have whatever you dream of. I’m probably guilty of oversharing with her. But I share my ups and downs with her. Actually, we started sharing our “high and low peaks” at the end of our days when she was in kindergarten. This way, although we can’t go over everything that happens each day, we can check in with each other. I let her know about my work, where I’m struggling, and where I want to improve. She shares her updates about her BFFs and teacher. We have a strong supportive relationship toward each other. I’m grateful as I grow in my career and mommyhood to have her as my teammate. That perspective shook me to my core. A part of me growing as a woman and a mother is my journey of just accepting what God has placed in my life, acknowledging that his plan reigns supreme over anything I could’ve thought of, and thanking God for his grace during my low and high peaks. Motherhood isn’t perfect. It’s often messy, unpredictable, and it involves a lot of feeling around in the dark (smile). But if your child is happy, doesn’t need for anything, and is loved by their family (who I define as the people you trust, who show up for you and your child and gives you and your child love/support), you are fortunate and blessed. Never shrink or shy away from your truth. God doesn’t make mistakes. Love and light to all the mamas! You can do it! Posted in BBM Revisits, Community Bloggers, Community-Building, Conversations with Single Mothers of Color. Tagged black single motherhood, co-parenting, law student and single mother, parent of a young child and college student, Rutgers Law, single mother attorney, single parenting and family support, Spelman College. Previous: Previous post: What to Do When You See Unaccompanied Black Children in Public Spaces. Next: Next post: Love Quadrangles: Ciara, Future, Russell, and Co-Parenting While Dating. Your words mean the world to this single mother! Reminding me that my child is fortunate is more than enough to keep me inspired. Love your attitude! Please keep us updated and encouraged as you journey through your walk in this life! Thank you again sis!